First Option. Home Affordable Refinance This program is available for homeowners who are current on their mortgage but unable to refinance to the lower interest rates offered in today’s market. The home affordable refinance option will help up to 4 to 5 million homeowners whose loans are owned or guaranteed by Fannie Mae or Freddie Mac. It gives homeowners an opportunity to refinance into more affordable monthly payments. Second Option. Home Affordable Modification This program is different from the traditional loan modification because the goal of the program is to reduce the monthly mortgage payment to more affordable levels for the homeowner. Traditional loan modification programs do not necessarily lower a homeowner’s monthly mortgage payment. 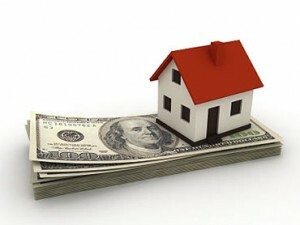 In fact, often times the homeowner’s monthly mortgage payment increases. Keep in mind not all servicers offer the Making Home Affordable Program. Participation is not mandatory. Only servicers of loans owned or guaranteed by Fannie Mae or Freddie Mac are required to participate in the program. You can find a current list of loan servicers participating in the program on the makinghomeaffordable.com website. More and more servicers are taking part in the program as there are substantial incentives available for participation. In order to make your home affordable, the borrower’s interest rate will be reduced to a point sufficient to get the modified payment to equal 31% of the borrower’s gross monthly payment. This means that a loan servicer can lower an interest rate as low as 2% if necessary to achieve an affordable payment. As stated above, the affordable payment should be 31% of the borrower’ s gross income. If the loan servicer is unable to get the mortgage payments to no more than 31% of the gross monthly income, the servicer may extend your payment terms up to 40 years. The servicer may also defer a portion of the principal amount you owe until the maturity of the loan. You will still owe the principal; however, the payment will be deferred until a later date. The loan servicer can also do a principal reduction in order to make the payments more affordable. Unfortunately this rarely happens and is solely up to the loan servicer. Once you get approved for the Making Home Affordable Loan Modification there will be a trial period of 3 months. Basically the borrower will have to make three on-time payments in order for the modification to become permanent. Borrowers who are unable to make three payments by the end of the trial period are not eligible for a modification under this program but may be able to pursue other options offered by your servicer. As of November 30, 2009, the Treasury Department reported an increase in trial and permanent loan modifications through the program to 728,408 compared with 650,994 at the end of October. For more information visit www.MakingHomeAffordable.gov to get detailed information about these programs along with tools to determine eligibility for a modification or a refinance under the program.